The Department of Transportation Services has partnered with Zipcar to offer students, faculty, and staff the benefits of a car-sharing service. If you join, you can have access to cars on campus and nearly 700 cars parked all over the DC metro area. Members can drive Zipcars by the hour or by the day. No need to worry about gas, insurance or maintenance. Just reserve online, let yourself in with your Zipcard, and drive away. Even students, 18-20, have the opportunity to join. We, at the Department of Transportation Services, appreciated your willingness to turn in your campus parking permit, and to make use of a greener, more environmentally friendly mode of transportation to get around. By taking part in the Zipcar Premier Plan, you have helped us, as a campus, reduce the number of parking permits, and thus the number of cars here. Therefore, it is with great regret that I announce the discontinuation of this promotional program effective April 1, 2009. In these economic times filled with furloughs and budget cuts, everyone, including the Department of Transportation Services, has had to make tough fiscal management decisions. The Zipcar Premier Plan began initially as a promotional program under Flexcar in 2006, and continued as such after Zipcar acquired that company. We understand that members of our faculty and staff, but more specifically graduate students, who took advantage of the free driving hours benefit, will be greatly inconvenienced by the discontinuation of this program. We sincerely regret having to make this decision; however, budget constraints demand hard choices. As a Zipcar member, you are still entitled to the reduced annual membership fee of $25 once you are a member of the University of Maryland community. You may also continue to use the cars on campus at the rates of $9.25/hr and $69/day on weekdays or $10.50/hr and $77/day on weekends. 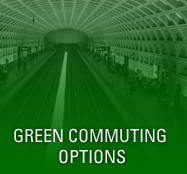 Zipcar also offers extra value plans that may be more economical depending on your driving habits. You may visit http://www.zipcar.com/dc/apply/?group%5fid=78668000 for more information about the University of Maryland Standard Plan . Any member of the faculty or staff can sign up for the standard program, which offers a discounted annual membership of only $25/year. If you are a member of the University of Maryland faculty or staff and you are not eligible for the premiere plan, this is the program for you. Go to www.zipcar.com/umd and click on the appropriate link to direct you to the proper member application. Call (301) 314-0183 or visit www.transportation.umd.edu for more information.